The King of Concrete is just a few weeks away, just a few weeks ago we celebrated 40 years of Southsea Skatepark! It seems like the perfect time to bring the legendary King of Concrete contest back, and in conjunction with the UK Park and Vert series it’s sure to be a banging weekend. 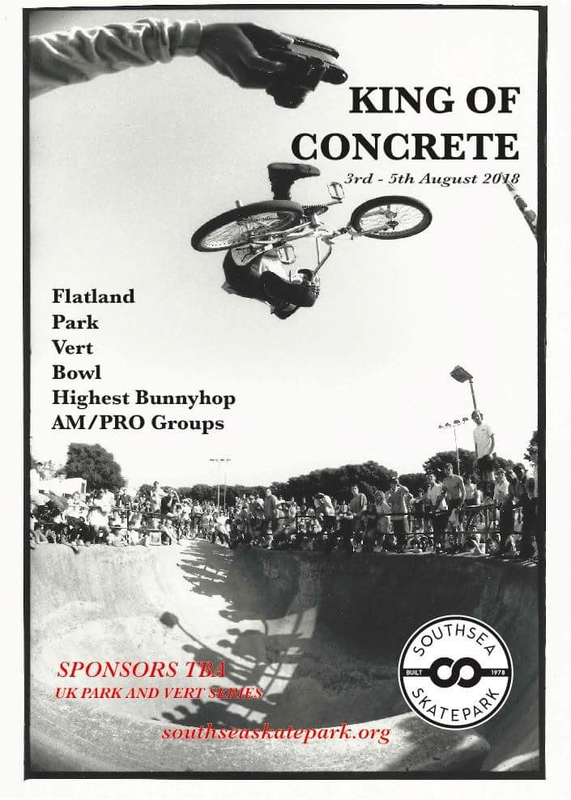 Flatland is on the Saturday, Park, Highest Bunnyhop, Concrete, Vert and good times here in Southsea!